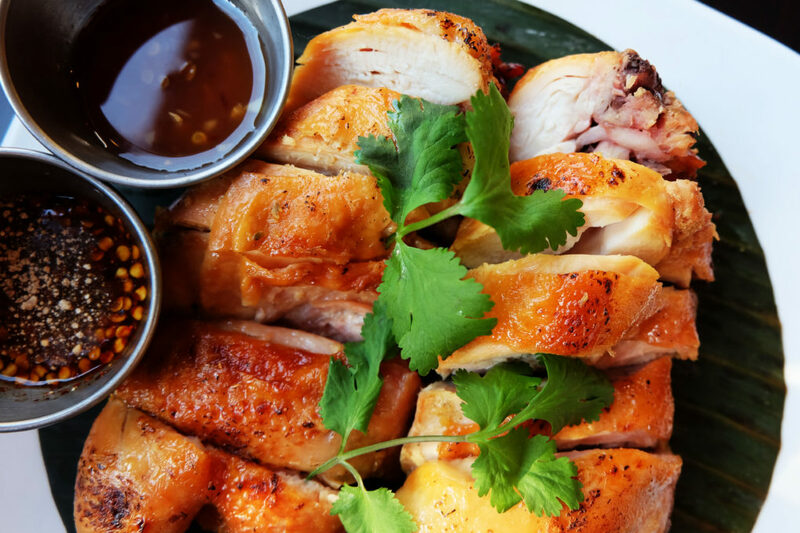 Bang Tan-Styled Grilled Chicken. Grilled Whole Cornish Hen Marinated in Thai Herbs and Spices. Served with Duo of Sauces. Make it a Complete Meal for Two by adding Sticky Rice and a Som Tum.